We are a father and son team living in two different cities that enjoy similar interests: food, hiking, camping, music and much more. Our goal is to provide to you our suggestions of the things we have encountered and enjoyed. Cheers! 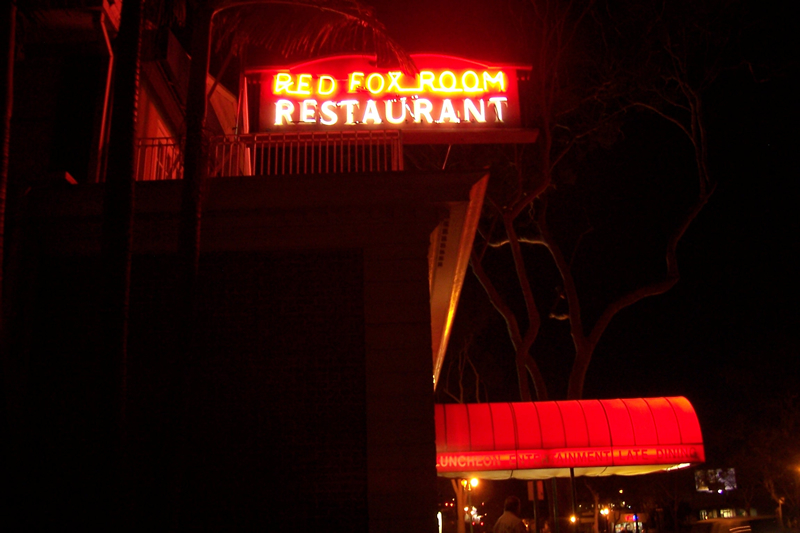 Located in the North Park area of San Diego lies the Red Fox Steakhouse, a fine pick for those wanting a break from the seafood fare in Southern California. Dining in one evening my brother and I took a seat at the bar, ordered drinks and waited only minutes for our table. The restaurant interior is interesting with its darker hues from red walls and wood overlays. Off to the side of the bar sits a piano bar that took action toward the latter part of our dinner. Once seated, we viewed the menu and the waiter arrived with a small basket of bread. It didn’t take either of us long to find out exactly what we wanted; an 8oz sirloin paired with a filet of Haddock. My order included a flavorful rice pilaf and his, a baked potato. Both also included a salad with a homemade dressing of your choice. The menu is full of steaks and other offerings, but this evening we both desired the steak and fish. The steak was cooked medium rare with simple seasonings that included only salt and pepper. The fish was firm and moist, prepared simply as well with just a hint of paprika so the flavor of the fish was exposed to the palate. As we review places or events we always like to mention, if appropriate, the prices. This dinner: steak, fish, side dish, salad, bread and drinks…$52 (plus tip) for the two of us. The Red Fox Steakhouse is only a few miles from the downtown area and with the price it is definitely a place to visit. They do not have a website and we didn’t think it was appropriate to the take pictures inside so you’ll need to visit and see for yourself. 2223 E. El Cajon Blvd. San Diego, CA. I still can't believe you got that much food for such a low price! What a great deal! Yes, we do experience long waits as well in some areas. As long as the food and service is worthwhile then the wait is too.